What luck!? While wandering the streets of central Bengaluru, my travel companion, Dan Rhatigan and I crossed paths with these bright lithographed film posters using both the Kannada and Tamil scripts. They looked quite familiar (see earlier post) – perhaps this is the same artist and print shop? Probably! 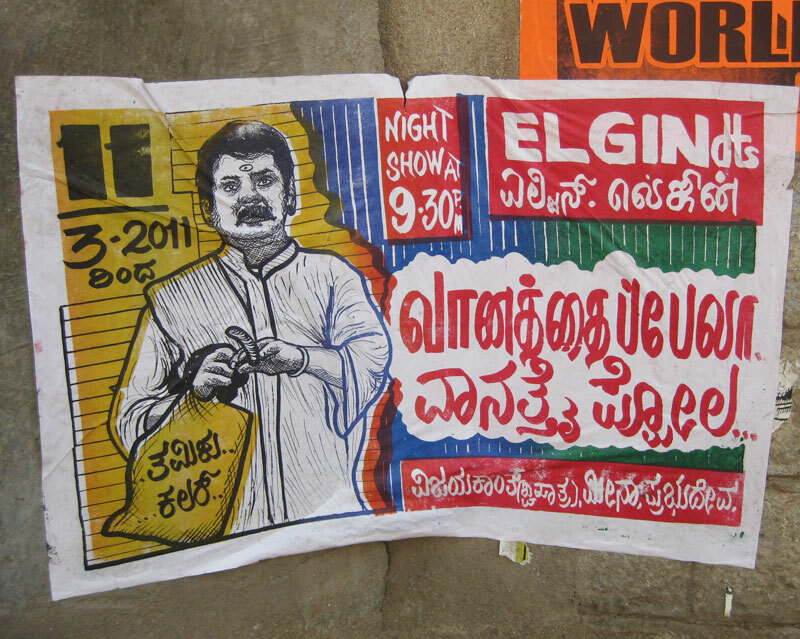 Bangalore has a very good mix of people who are from Tamil Nadu and who’ve come and settled in Karnataka, so that’s why the improvisation in the language in the posters. A majority of them even speak and write the Tamil,Telugu and Kannada script!